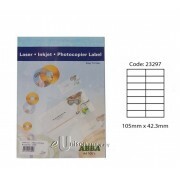 Label size: 99mm x 34mm. Laserjet, inkjet and photocopier compatible. 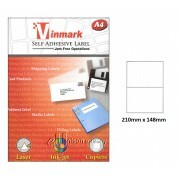 Smoother surface with high-defination for inkjet, laser printer and photocopier. Advance formulated adhensive to withstand high-temperature with superior quality print-out. 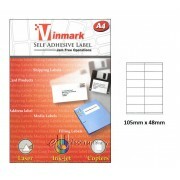 Perfect for addressing, shipping and organizing.